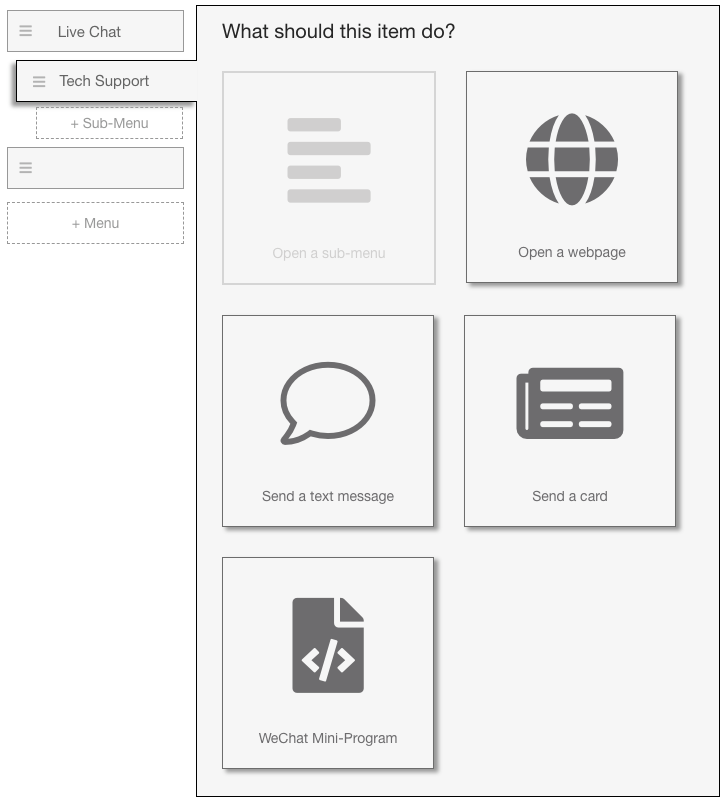 Grata’s menu editor provides a few additional features beyond WeChat’s default menu editor, notably the ability to offer separate versions of your menus for English, Simplified Chinese, and Traditional Chinese WeChat users. 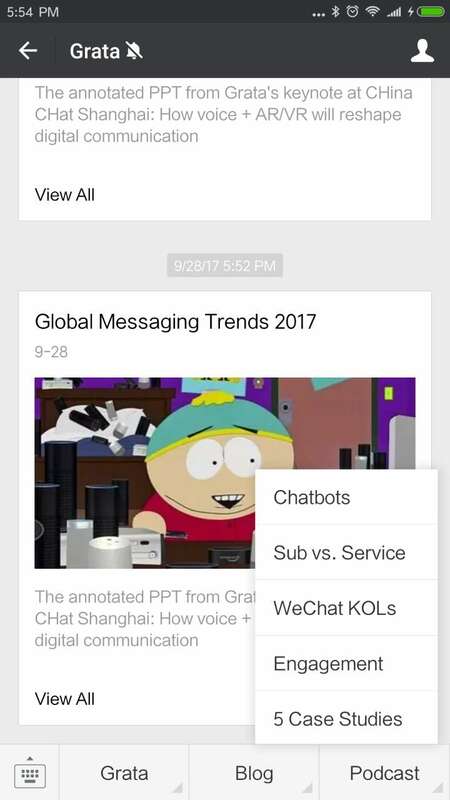 WeChat refers to these as “personalized menus”. Note: If you link your WeChat Official Account to Grata using the old server-forwarding, your WeChat menus, welcome message, and any keyword auto-replies must be managed on Grata, not on the WeChat backend. If you connected your account using Grata’s WeChat plug-in you can choose to use either the WeChat backend or Grata for any of these features. 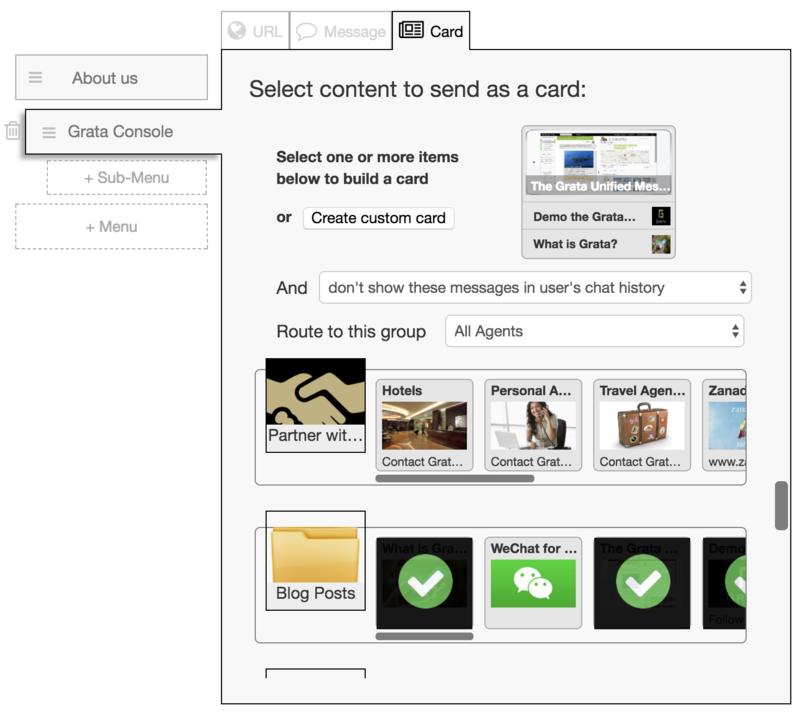 Grata’s WeChat menu editor is located in the Admin Panel, in the side menu under Content. Your first step is to create your default menu configuration. This is required by WeChat if you intend to later add personalized menus for different languages. Your default menu configuration will be shown for any user with a WeChat language other than a language for which you have saved menus. If you add English, Simplified Chinese, and Traditional Chinese menus, for example, a German user would see your default menus. For organizations servicing China, you might consider using the Simplified and Traditional Chinese menus for your Chinese speakers, while using your Default menus (in English) for all non-Chinese users (you wouldn’t need to bother maintaining the English menus in this configuration). WeChat Menus can consist of up to three first-level menu buttons and five sub-menu buttons, for a total of eighteen items, but you can also use as few buttons as you like. As you add menu buttons you will need to enter the display name and choose a function for the button. Your first-level buttons are limited to four Chinese characters or ten Roman characters and your sub-menu buttons are limited to eight Chinese characters or sixteen Roman characters. Many emoji are also supported, but we recommend you confirm each emoji renders properly on both Android and iPhones to be safe. Most Official Accounts use the first-level buttons as sub-menus in order to expose more content. If you select “Open a sub-menu” for a first-level button, the editor will open your first sub-menu button and you can then give that button a display name and function. In this example we’ll make a column of menu’s designed to let customers talk to specific departments at our company. This is the fastest response option through WeChat menus and appropriate for this example as we want to engage the user in a chat. You can also designate WeChat menus to open a webpage. You’ll want to make sure any webpage you link to is formatted to display well on mobile devices and, for China users, has ICP registration. If your website doesn’t have ICP registration, users may be blocked from opening the page or, at a minimum, see a warning screen before tapping through to your site. ⚠️ Important: When using personalized menus, you can set any number of buttons to open URLs, but for security reasons WeChat only allows each Official Account to link to a maximum of three domains. At the moment, a workaround for this restriction is to use a URL shortener like bitly.com, but this could change at any time. The default menu is not covered by this restriction. If you try to publish your menus in Grata and see this error, and you think it’s inaccurate, it may be that a historical versions of your menus has an additional domain. 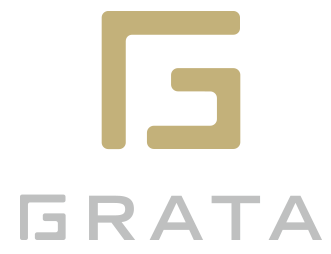 Contact Grata to help clear out any previous menu history. If you have a WeChat Mini-Program (MP) you can designate menu buttons to open specific pages within your MP. 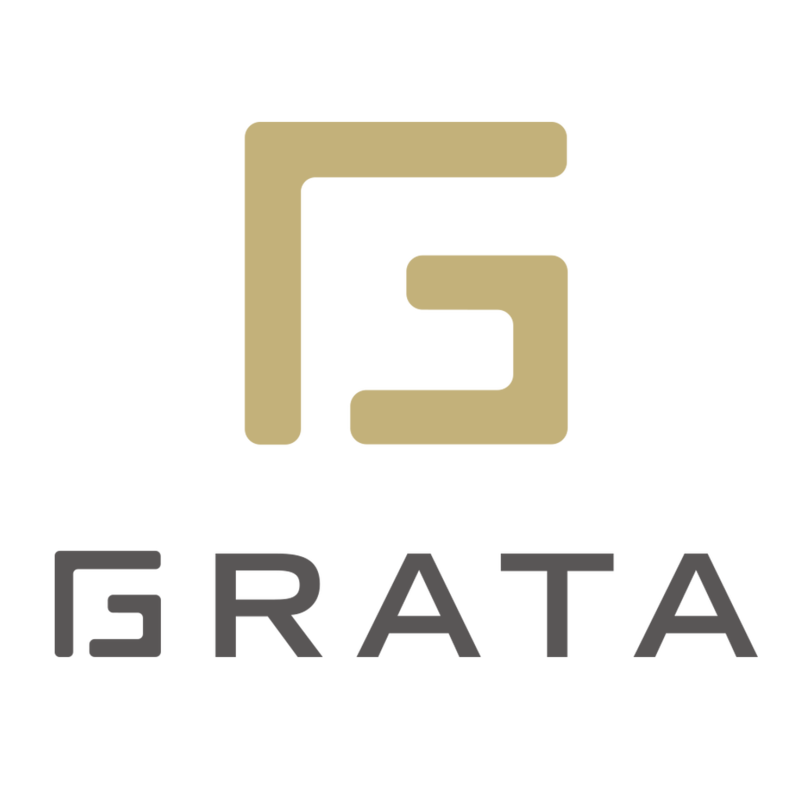 You will need to first install the Grata plug-in in your MP. After your MP is connected, enter the specific page path you want to open in the second field (You may need to get your MP developer’s assistance to get the page paths for your MP). You must also enter a “base URL”, which is actually a fallback URL to open in the unlikely event the user’s WeChat version does not support mini-programs. Grata’s card option allows you to send one card based on the user’s WeChat language. Note that we are unable to support multiple cards at this time due to recent changes in WeChat’s interface. You may have noticed the drop-down menu option to control more granular behaviors of what happens when a user taps on this menu button. The default option is not to record how your followers use your menus, but you can change this for each menu button. Your two other options are to 1) silently record any messages sent and 2) to record the menu action and trigger a chat in the console. Consider recording these messages if they can give context to a conversation or otherwise help agents signal user intent. For example, if you are using menu buttons to send a conversation prompt, you may want to record that prompt so the agent sees how the conversation started from the user’s perspective. 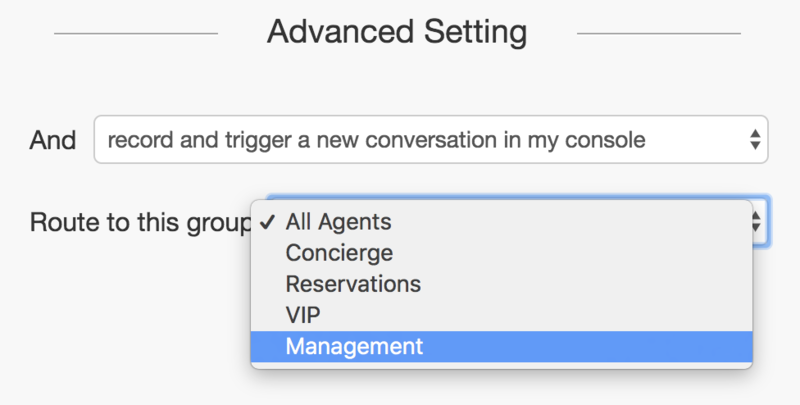 Be careful using the “trigger a new conversation” option as it will automatically open a new conversation in the Grata console with an agent — you want to make sure this behavior is clearly communicated to your follower and that you don’t overly burden your agents. You might consider doing this for one or two buttons that signal strong intent to purchase (eg. a “Book Test Drive” button) so a live agent can nurture a warm lead with personal attention. You can change the order of the buttons by clicking on the icon to the left of the button display name and dragging it to a new position. In the Grata editor, your first-level menu buttons from top to bottom will display left to right in WeChat. If you use sub-menus, the buttons will stack in the same sequence they appear in Grata. You can save any menu changes you make in Grata locally, without applying those changes to your WeChat account. When you’re ready to publish, you’ll need to click the publish button on each version of your menus you made changes to. If you haven’t published any menus on your account previously, you must publish the default menu version before publishing any language-specific versions. Your changes will normally not take immediate effect in WeChat. WeChat will take up to five minutes to update your menu after publishing them. However, if you unfollow and re-follow your Official Account you will be able to see the menu changes immediately.